Melton Fire – Does Your Club Have Contents Insurance? You may have heard that the Melton Club recently lost a lot of their equipment in a fire. While Melton is a young and growing club, there was still about $1000 worth of damage to tables, clothes, boards, cards, etc. Club Secretary Rosemary Hare said it was lucky she had taken the computer & bridgemates home or they would also have been lost. Unfortunately Melton didn’t have insurance to cover their equipment and property, and neither were they covered by their community centre’s insurance (where they play), or the ABF insurance which covers a lot of things, but not contents. In the meantime, Melton is up and running with loan items, and while the loss relatively small, it could easily have been worse. 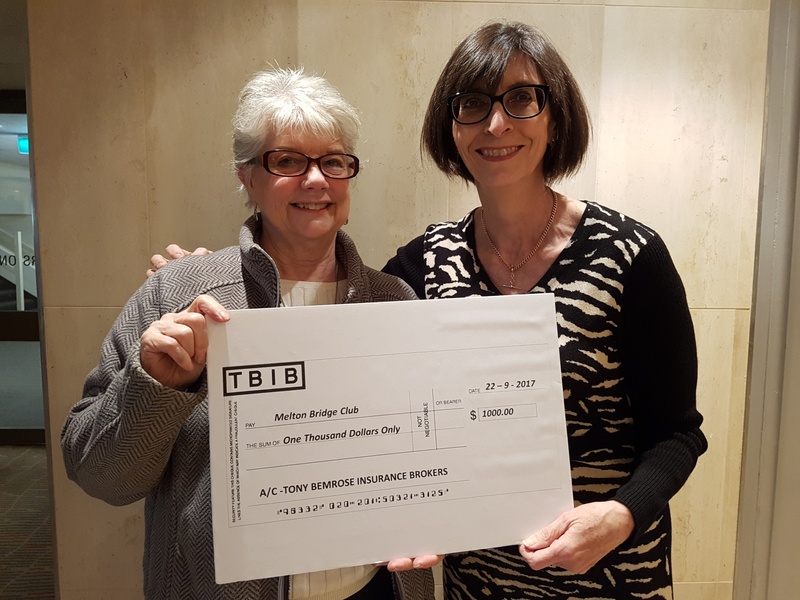 The good news is that Steve Weil of TBIB – insurance brokers to the ABF and its members – has come to the party with a donation of $1,000 to get Melton back on its feet. This is a harsh reminder for clubs to take stock of just how much it would cost to replace property and get going again if there was a fire or other cause of damage. Reviewing your insurance costs nothing, but it could save you everything.